Huawei is a leading global Information and Communication Technology (ICT) solution provider, Huawei Certification System is well –recognized and is becoming a standard for ICT talent cultivation. 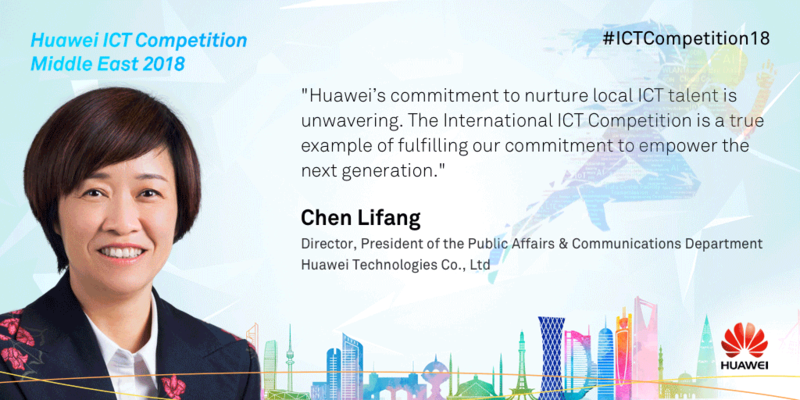 In order to promote ICT industry technology certification, develop ICT industry talent and a strong ecosystem, Huawei would like to invite colleges and universities in the Middle East to participate the“Huawei ICT Competition Middle East 2018-2019”. Huawei in collaboration with HEC is launching ICT skills competition 2018-2019. The aim is to refine talent of students of universities at its utmost capacity. Matching with Huawie’s mandate this program will enhance technical knowledge, empower computerized systems, and amplify industrial growth further append for digital transformation and boost employment. The registration is now open. Huawei shares a prestigious bond of 10 years with HEC. Together both the organizations have contributed to their mandate of recognizing and promoting the talent of the youth for Pakistan’s triumphant future. ICT Skills competition will benefit HEC, universities and students at a great level. Future economic growth is aimed after developing ICT knowledge and skills in students. National competitiveness will be increased through developing ICT talent in Pakistan. Up gradation of teaching methods and connectivity with the industrial development will be focused. This will direct the students to perceive employer’s perspective by developing their ICT knowledge. Top 6 winners of the National Final will win the fully paid trip to China for International Final and win a HONOR smartphone as well. The winner of the International Final will win USD 30,000. Free Huawei HCNA , HCNP and HCIE Certification, Internship and Job opportunities. Many more gifts, goodie bags and Honor mobiles for participants and student ambassadors. All university students who are currently enrolled in a programme and have an interest in or pursuing degrees in IT or Telecommunications, can enter the competition.